Even the best drivers have accidents. Put yourself in the driver’s seat by coming to Bold City Insurance for customized auto insurance policies. Our local, friendly, and experienced insurance agents help you select the best coverage and price to suit your needs. You’ll always enjoy first-rate customer service and the most affordable automobile insurance products at our agency. Are you ready to take our “Quote Challenge?”® We know you’ll be pleased with the car insurance quote we provide. In fact, if you can find a better rate, take it! We want you to save money. Allow our team to show you how we can beat any competitor’s price. By providing personalized service and customized insurance products, we aim to earn your business. Are you ready to take our “Hit the road with confidence, knowing that your motorcycle is fully insured. We understand that even the smallest details matter when it comes to your motorcycle. Protect your bike with motorcycle insurance. We offer the right type of insurance at the right price for your unique ride. 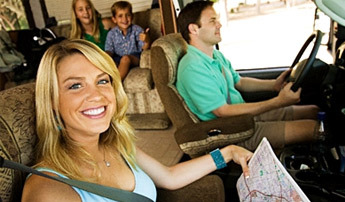 Your RV is your home away from home. Perhaps, it’s where you permanently live. Either way, you need RV insurance to ensure your vehicle and your possessions are completely covered in the event of damage. We only work with top-rated insurance companies that offer superior coverage and flexible rates. We proudly serve Florida customers from our office in Mandarin.